Burlesque and DeVotchKa go way back- some of you might recall the band’s mention in the 2004 book Burlesque and the New Bump-n-Grind by Michelle Baldwin. 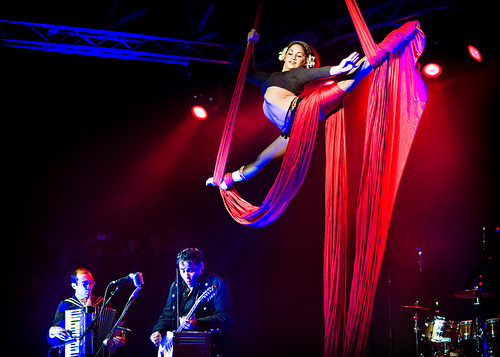 DeVotchKa (which translates to “girl” in Russian) has toured with multiple burlesque & variety shows, including several headlined by Dita Von Teese. (They were also made famous by their contributions to the Little Miss Sunshine soundtrack, but that’s another story). Here’s an amazing photo of a past show with aerial by Denver photographer Michael Calanan- I highly recommend his website HERE, it’s packed with lovely photos, and quite a few more of DeVotchKa’s aerialists. An aerialist with DeVotchKa in Seattle last weekend. ~ by angrytruffle on 03/13/2011. Gasp! 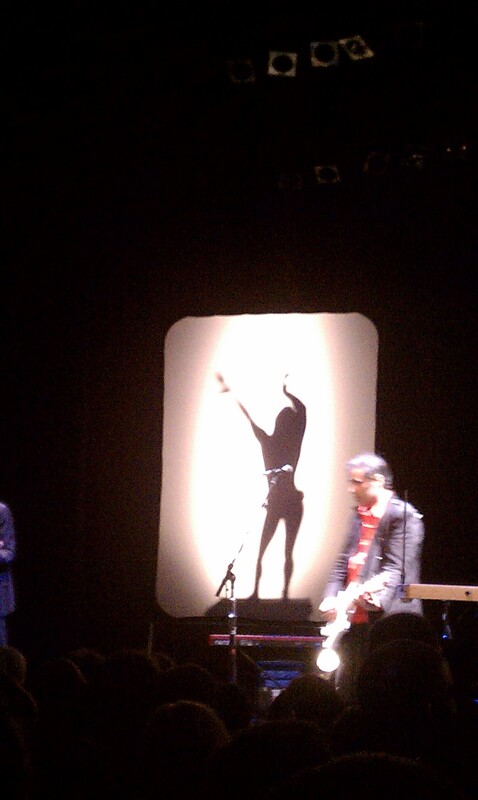 I LOVE DeVotchKa! Awesome write-up, Jess!